Today I’m sharing a beautiful Hay-Adams hotel wedding from last September. This family was so incredible. No one lived in Washington DC, they all planned from different time zones, and yet they were some of the most organized clients I’ve ever had. And calm! Which makes me happy. 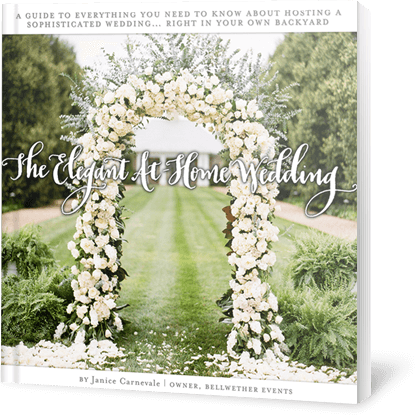 This was not my first Hay-Adams hotel wedding, you can check out a dapper rehearsal dinner and an elegant Jewish wedding. As I’m seeing more and more, my clients have mixed gender wedding parties. And I think this is great, because you should have your besties next to you on your wedding day, regardless of their gender. As is tradition at Hay-Adams, the ceremony is held on the roof in a portion of the space so that the other side of the space can be used for the cocktail reception. Most couples opt for this lay out, so that the White House is in the background. 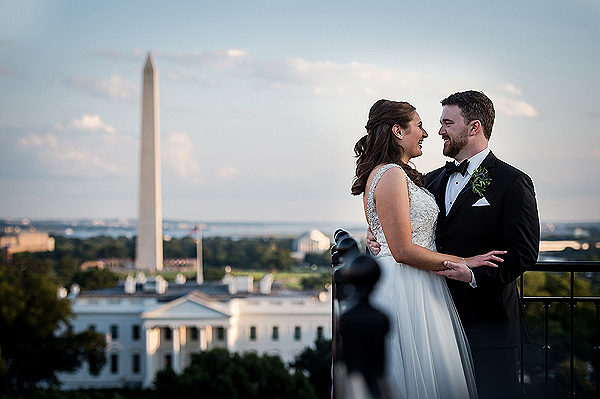 As promised, the wedding cocktail reception is hosted on the roof as well, and if you are lucky, the weather will cooperate and your wedding guests will be able to go outside and enjoy the views of Washington DC! While your wedding guests are enjoying the rooftop terrace during the cocktail reception, the ceremony space is being flipped to be the dinner space!